Check out this table set-up from Baballa! 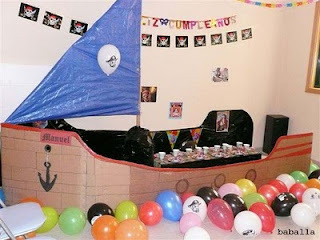 A homemade ship/seating area for all of the birthday boy's guests. Love it.